Will YOU stand up and be counted? It’s a fair bet to say that every Australian’s life at some stage has been affected by disability in some way. Whether you are a consumer of disability services, caring for someone with a disability, have a friend, family member or colleague with a disability or work in an organisation attempting to provide equitable access, disability touches all of our lives. Even if you are one of a very small minority whose life hasn’t been affected in some way, it’s bound to be in the future. Did you know that last year the National People with Disabilities and Carer Council released a report called Shut Out: The Experience of People with Disabilities and their Families in Australia. This report highlights the everyday struggle of people with a disability, their families and carers to access basic services the rest of the community takes for granted as well as their daily battles against exclusion, discrimination and negative social attitudes. In the coming years there will be an ever widening gap between those with a disability and those willing and able to provide unpaid care. The Government will be required to pick up the difference monetarily. At the present time the amount of financial, emotional and physical stress on carers without access to adequate respite facilities is immense. 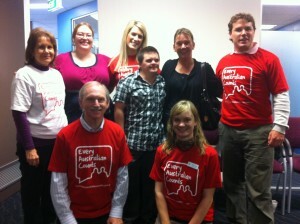 The majority of services provided to people with a disability at present is service-focused. For example, someone requiring assistance with personal care from an outside agency (i.e. showering) doesn’t have the luxury of bathing whenever they feel like it. They’re dependent on staffing levels, agency attitudes, time schedules, etc in terms of when they can even feel fresh and clean. There are vast discrepancies in the existing system at present. Someone with an acquired brain injury (e.g. brain injury as a result of a motor vehicle accident) is eligible for far more in terms of funded services than someone who may have been born with a disability. The NDIS aims to correct all of the above with person-centred care which means that those with disabilities and their carers can choose the services they need, when they need them and in a way that suits them best. The emphasis will be on empowerment of individuals and equal access instead of making people feel dependent on welfare, with everyone who has a disability being treated equally regardless of how their disability came about. A disability can happen to anyone at any time. Wouldn’t you feel better knowing that either yourself or your loved ones would be entitled to support without feeling like a charity case if something happened to them? For all of the reasons above we need to stand up and be counted when it comes to acknowledging the need for a National Disability Insurance Scheme. At AccessibilityOz we’re standing up – will you? Sign the NDIS petition now.